All Sites Welding Services is a family owned and run SA based mobile welding business since April 2008. We have been working in the industry with over 15 years of experience. 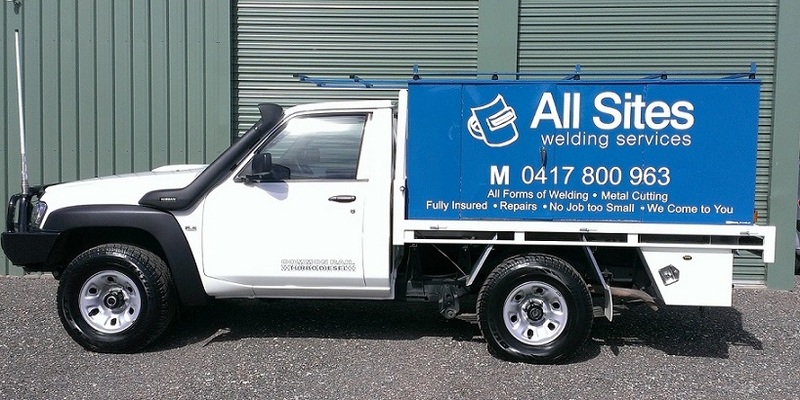 At All Sites Welding Services we provide a unique on-site service, not only to the commercial building trade, but also to various small businesses and residential needs throughout Adelaide and the surrounding suburbs. We deal with some of the larger names in the construction industry and provide them services including on-site fabrication adjustments, alterations or design and on-site installation. We also offer a 24 hour emergency service for when time is of the essence. Please call us next time you are in need of on-site welding or metal cutting.